We spend much more time outdoors during the summer, and that goes for both daytime and nighttime. So as the sun sets and the temperature cools off, it creates the perfect environment to bring friends and family together around the fire pit. But as much as we enjoy sitting back and cooking s’mores, you should be aware of the proper bonfire and campfire safety precautions. Regardless if you have a fire pit in the woods or your cozy backyard, the same safety measures should always be followed. The National Park Service reports that nearly 90 percent of wildfires in the United States are caused by humans, which can include leaving campfires left unattended. Before building your campfire, choose a spot that is protected from gusts of wind, and make sure it is at least 15 feet from your home or tent. Use tinder, kindling, and firewood to help your fire get going, and never add a flammable liquid. 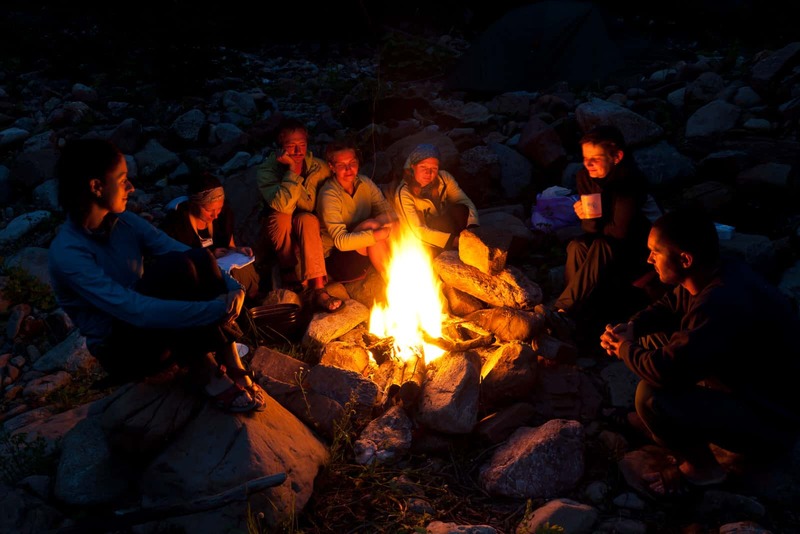 Keep your campfire at a manageable size, and supervise children and pets around the fire. When it comes time to put the fire out, let the wood burn all the way down to ash, if possible. Pour water on the fire until the hissing stops, making sure the whole fire has been doused and not just the red embers. If you do not have enough water, then stir dirt and sand in with the embers and bury the fire with a shovel. It is essential that you keep adding water, dirt or sand to the fire until it has cooled completely. If the campfire is too hot to touch, then it is too hot to be left unattended. We should all be familiar with Smokey the Bear’s iconic saying, “Only you can prevent wildfires.” The same is correct about your home, and that only you can prevent house fires. Know the dangers and precautions when it comes to bonfire and campfire safety, and always have a plan to extinguish your campfires this summer properly. For more information on fire prevention, contact a fire safety expert at Brigade Fire Systems on Safety Drive in Belmont, Michigan.